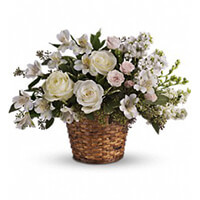 Provide comfort for the family of Susan Locascio with a meaningful gesture of sympathy. Susan B. Locascio, 80, departed this life on January 18, 2019 with her loving family by her side. Born on January 13, 1939 in St. Paul, Minn. to James and Margaret Barber, Sue resided most of her life in Westfield, NJ. After obtaining her B.A. degree from the University of Minnesota, she became a civilian employee of the U.S. Dept. of Defense. She spent 2 years in Mainz, Germany teaching 4th grade children of the U.S. Army Soldiers, and it is there that she met her future husband 1/Lt. Mike Locascio. Upon returning to the U.S., she married and subsequently obtained her Masters Degree in Library Science from Seton Hall University. Sue spent the balance of a great teaching career as the Librarian at Tamaques School in Westfield, NJ. From which she retired in 2007, which gave her more time to engage in her favorite pastime, enjoying and interacting with her four adoring grandchildren. She will be sorely missed by her entire family. Sue was predeceased by her parents and brother Thomas. She is survived by Michael P. Locascio, her loving and devoted husband of 53 years, their loving son, Michael J. Locascio, Michael's wife Wendy and Sue's 4 grandchildren; Matthew, Daniel, Thomas, and Sean of Park Ridge Illinois. Sue is also survived by her brother, John and her sisters, Patricia and Elizabeth. 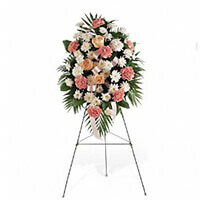 To send flowers in memory of Susan B Locascio, please visit our Heartfelt Sympathies Store. The Broz Family, Anne and Jack Ryan , and others have sent flowers to the family of Susan B Locascio. The Broz Family purchased the Sentiments of Serenity Spray for the family of Susan Locascio. Anne and Jack Ryan purchased the Love's Journey for the family of Susan Locascio. In loving memory of Sue. Our thoughts and prayers are with you during this difficult time. 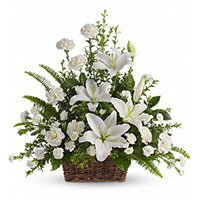 The Purcell Family purchased the Peaceful White Lilies Basket for the family of Susan Locascio. The Scheuermann, Hobson, and Della Rocco families. 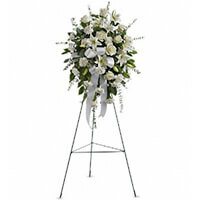 In loving memory of Sue and our most heartfelt sympathies. Love from, Greg, Paul & Sharon, Greg & Michele, Todd & Elisa. The Scheuermann, Hobson, and Della Rocco families. purchased the Gentle Thoughts Spray for the family of Susan Locascio.